Migrante Intern ational extends itscondolences and most-heartfelt sympathy to Andrea Rosal, daughter of lateCommunist Party spokesperson Ka Roger Rosal, for the untimely death of hertwo-day old baby. Overseas Filipinos worldwide hold the BSAquino government and the Armed Forces of the Philippines accountable for thedeath of baby Diona Andrea Rosal as a result of the inhumane treatment ofpolitical prisoners in the country. Baby Diona Rosal died last May 18 at4:20pm at the neonatal intensive care unit of the Philippine General Hospital.Her mother, Andrea, was arrested by authorities, along with two others, lastMarch 27. She was eight months pregnant during the time of her arrest and wasnot given proper medical attention while detained despite persistent requestsby her legal counsel. Like other political prisoners under theAquino regime, Rosal has been charged with non-bailable crimes of murder andkidnapping. This is a clear violation of the Hernandez doctrine which holds thecrime of rebellion as a single offense that cannot be made into a complexcrime. “We are heartbroken and outraged by thedeath of Baby Diona Andrea. Overseas Filipino workers (OFWs) around the world,especially mothers, know how hard it is to be away from their children. As aparent myself, I cannot even begin to express the sorrow and grief of losing achild, let alone a newborn baby who has died while under the care of the verypeople who are tasked to protect and care for its children,” said GarryMartinez, Migrante International chairperson. “Walangpuso ang gobyernong ito. Ang pakiramdam naming mga OFW ngayon ay mas masahol pasa pakiramdam kapag nababalitaan nating minamaltrato o inaabuso ang ating mgakababayan sa ibang bansa. 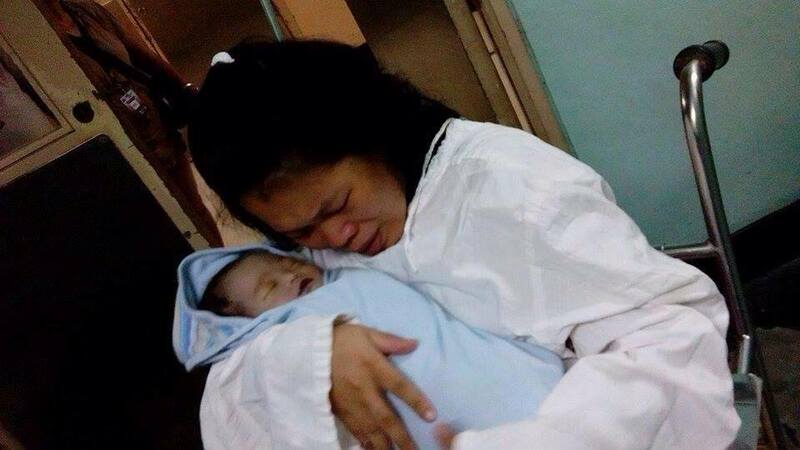 Ang pagkamatay ng isang inosenteng sanggol na tuladni Baby Diona Andrea ay lagi’t laging isang trahedya. Nagluluksa at nagagalitang mga OFW saanman sa mundo,” he said. Martinez also slammed the Aquinogovernment for its “double standards” in its treatment of detainees, citing thespecial treatment being given to the likes of former president Gloria Arroyoand Janet Lim Napoles.